Does AirBNB have the Coolest Office on the Planet? 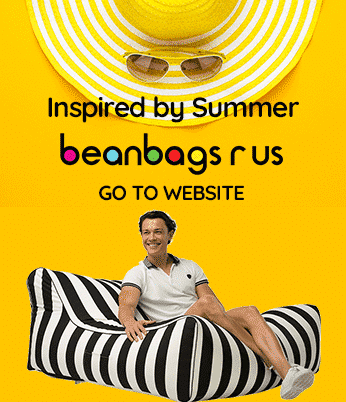 Bean Bags R Us NewsBean BagsIs This the Coolest Office on the Planet? Airbnb, the world-renowned online house rental website, made international news when it first established an office in Sydney in 2012, and the company’s Australian headquarters is making news again after undergoing a complete overhaul. Newspapers and magazines around the world, including the Daily Mail, Designboom, Contemporist, and News.com.au, are calling Airbnb’s Sydney location the coolest office in the world because there are themed rooms designed after famous destinations around the globe. This concept may very well be why visitors of the career website Glassdoor voted Airbnb the best place to work in 2016. Tech startups and established technology companies have come to be known for their lavish yet functional office spaces that combine sustainable designs with fully integrated recreational features. Foosball tables, swimming pools, basketball courts and comfortable lounges with beanbag chairs are now considered commonplace features, but many new companies are continually raising the bar. At the beginning of the year, if you were to ask about the company with the coolest, most awe-inspiring office in the world, you would most likely have pointed to Facebook, Google or Apple, but today, the title of world’s coolest office goes to Airbnb Australia. 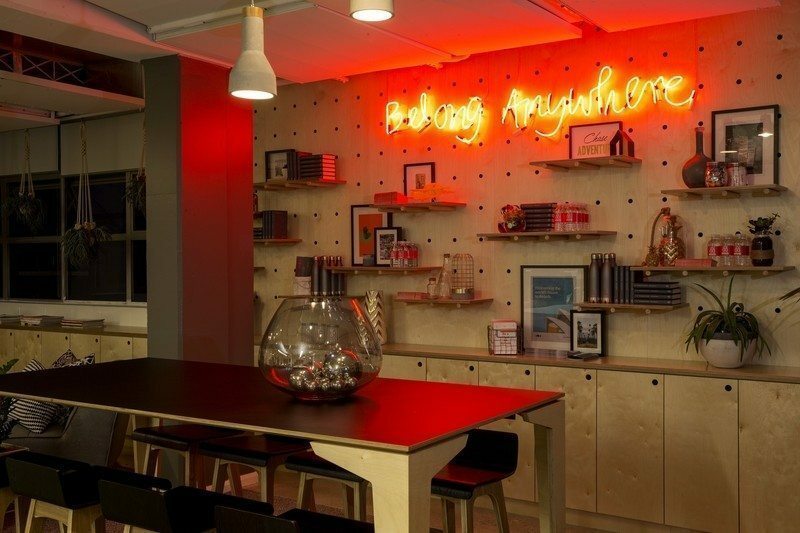 The overriding theme of Airbnb’s Sydney office is that it gives workers and guests the ability to travel the world simply by walking from room to room, but the design also includes several features that are uniquely Australian. Artificial turf lines the entrance to the Airbnb Sydney office in a foyer designed to resemble an Australian Football League (AFL) field complete with goal posts. But as you walk from room to room, you get the feeling of travelling through distant lands and cultures. This globalization is the exact feeling the designers were after because it epitomizes the company’s image not only to the public but also to its employees. The design of the lounge at Airbnb Sydney represents Kangaroo Valley in New South Wales. The designers were able to use an array of materials, including walls lined with recycled, corrugated tin cladding from an old laundry facility in Darlinghurst. However, the theme of the nearby dining room was inspired by Havana, Cuba, and it includes a hidden entrance in a bookcase. Meanwhile, the kitchen appears to have been taken directly from Coogee Pavilion. Among the other rooms of note in the Airbnb, Australia headquarters is a sitting room designed after a seaside cottage in Sweden where a life-size mural depicts the view from an actual Airbnb rental listing in Scandinavia. Faraway lands provided the inspiration for the themed bathrooms. The men’s room has a theme based on a gentlemen’s club or whiskey bar while the inspiration for the women’s room comes directly from the Hollywood Regency.